“The position was not advertised despite repeated requests by the Department to do so, and the actual application was incomplete and contained inaccuracies. On the basis of these failures to fulfil the requirements of Immigration policy, the work permit application was rejected,” the Minister said. Following the Minister’s statement earlier today, BIU President Chris Furbert announced that he has called a Special General Council meeting at 12 noon tomorrow [Dec 30], and said that all BIU Special General Council Members and Shop Stewards are urged to attend. A statement from the group said, “The People’s Campaign began in March 2014, advocating for equality, jobs and justice for all in Bermuda. “The campaign filled a void for the voiceless and has grown into one of the most powerful and influential stakeholder groups in this Country. A key factor to the formulation and strategic direction of the People’s Campaign has been the leadership of Rev. Nicholas Tweed. “The People’s Campaign has stood boldly with Bermudians against the oppressive OBA Government and their horrid policies, which many times are not in the best interest of the Bermudian People. “To this end it is no secret that the Government views the People’s Campaign and its Leadership as an enemy and a threat, as they often refer to the People’s Campaign as part of a fictional combined opposition. “Every leader of the People’s Campaign has been directly targeted by the OBA Government and their agents. The denial of Rev. Tweed’s work permit is another example of a tactic in the OBA Government’s war against the People’s Campaign. “The people of Bermuda should not be fooled or confused into believing that the denial of Rev. Tweed’s work permit is about an administrative process not being followed or Rev. Tweed displacing a Bermudian Pastor. “It is clear that the denial of Rev. Tweed work permit is political. The People of Bermuda are clear that the OBA Government and their supporters would like nothing more than to see Rev. Tweed placed on a plane and shipped out of the Country. You can view all our coverage of Rev Tweed’s work permit here. Rules are rules. It is correct that they should apply to everyone, without fear or favour. The refusal to follow clear procedures points to an unstated objective. Unstated, but obvious and consistent. Do we see this all over again? (1) PLP/BIU threatens the govt if they don’t get their way; (2) certain brainless people who might tip the election then think the OBA have done something wrong. Nice playbook PLP/BIU. I don’t understand why there is an issue with completing the renewal properly. Can you explain? Nice story. You just make that up? Or did you hear that from a mate? If this is true, why don’t you report them and follow up with it? Proof is in the pudding sir. You can mouth off all you want about things like this but if you have no proof, it is all total garbage. Sorry. I can’t even understand what you’re writing. Ok, if the Canadian girl you speak of was granted her work permit 8 years ago, you should be asking Col. Burch why that happened. More fundamentally, apart from Rev. Tweed, who else or what other positions does the PLP and BIU say should be exempt from normal work permit procedures? If this were true, then please provide the evidence of Immigration requests plus the paperwork submitted. This would then prove that all requests were met. Until this is released, there is no evidence that this is political. As someone with a HR degree, could someone please tell me why Mr Tweed is exempt from the laws of the country? ’cause he has a “spashul relationship” with Chris. HR degree vs Bermuda immigration policies vs politician ? confused.. what’s your point? BS! He ain’t got status…he’s on a work permit people. No matter how you slice it! !I’m no fan of this Government but they are right!!!! The only ones making this political are the BIU/PLP axis. So who are the PLP/BIU/PC for, Bermudians or foriegn workers in jobs that a Bermudian can do. Does this mean that the PLP/BIU/PC supports the violation of our immigration laws that are designed to give Bermudians access to jobs first. Or do the PLP/BIU/PC stand for a double standard where it is acceptable to ignore those immigration protections when it is for one of their own… simply put the PLP/BIU/PC want it both ways and are hypocrites for it… Bermudians first?… unless it is one of their imported political operatives. Non Bermudians should not involve themselves in politics. We Bermudians do not tell President Obama how to run the usa and neither should Rev Tweed tell us how to run Bermuda. If the permit had been approved it would have been ‘political’. Yes but the sheep want see it that way. They will follow whatever their leaders tell them. Perfect time for a strike. No tourists, kids not back at school, lettem go wild! Give them some credit though. They won’t strike today or tomorrow – they’ll at least wait until the schools are back in to cause as much disruption as possible. union members can`t afford to bet! This stunt will be the end of PLP ever getting into power! Will the silent majority, please stand up?! WHat is the opposite of a silent majority? Whatever it is, it defines this ridiculous movement to disrupt Bermuda at the drop of a hat over any government action. Perhaps the applicant in this matter (i.e. the AME Church) can provide some clarity as to whether they actually responded to the requests to comply with the legal requirements. There are two parties here, the Department of Immigration and the AME Church, being the party that makes the application. The DOI is prevented from disclosing details, but the AME Church is not. Let’s hear from the AME Church as to their record of what happened and have the AME Church give the DOI permission to release their records. Then, and only then, will be have all the facts. Without the facts, from both sides, this is all simply conjecture. I would suggest that if the AME Church refuses to do so, then their actions leave something to be considered. Many churches fall under a diocese or upper, umbrella body. The behaviour of this local AME church is bordering on unethical and illegal. Surely they should and can be reported to a higher authority to be called to account? They are inflaming a volatile political situation and bringign the church into disrepute. Most HR folks would make a copy of all documentation given to Immigration for a work permit application. It should be a simple matter for the AME folks to provide their application documentation should they wish to. I would have to agree. I am confused without having all the facts. Did they submit a second immigration request and does it require that Rev. Tweed leave the island during the submission process? Did they advertise properly and did they follow all the steps required for a proper application? If they did advertise, were there any Bermudian applicants for the position? We need all the facts before we can blame any side. This leaves a lot to guessing! Can we please stop it with the hyperbole and overblown rhetoric? The Syrian Government is oppressive. The OBA is not. Disagreeing with someone does not make them oppressive. Rejecting an appeal when the rules were not followed (especially as there is a right of appeal) is also not oppressive. Oppression in Bermuda is grossly overstated often by the group with the most leverage in this country. Let’s stop being the victim. If we are not a nation of laws then we are a nation of fools. They gave them a reason to turn it down. By not filling out the paperwork properly. Even if it is political. It’s not Burger King they can’t always have their way. SMH! Im surprised they didn’t blame the Russians.LoL! If Rev Tweed was a gentleman who truly cared about Bermuda, he take the honourable course, which is respect the law and leave – as did all those six year folks not so long ago, and who have given the country a lot more than prayers. Prayers? query – Does Rev Tweed actually know how to turn the other cheek? What utter drivel……. has the “People’s Campaign” EVER published statements in the past whenever work permits were refused to other expats?? Why are they ONLY going to bat for one of their own!!?? So much for their self congratulatory statement “The People’s Campaign began in March 2014, advocating for equality, jobs and justice for all in Bermuda.” I think not. The “peoples” campaign are just a thinly veiled political wing of the plp. They set up a company so they can take donations anonymously and then spread disinformation and bold lies without any plp person having to account for it. Its american style democracy that has finally come to our shores sadly and it needs to be rooted out or fought on the same grounds. “The position was not advertised despite repeated requests by the Department to do so, and the actual application was incomplete and contained inaccuracies. On the basis of these failures to fulfill the requirements of Immigration policy, the work permit application was rejected,” the Minister said. Ok so if the above information is correct then what is the BIU and PLP going to do? I HATE this bullying tactic that is used when things don’t go their way. For crying out loud, the 2 BASIC requirements to get the visa renewed was not obeyed and even after given time to correct it, it was still ignored so why should he be exempt. As a man of the cloth he should even admit the wrong doing/oversight and bow out gracefully, I mean what signal is now being sent to the body of Christ and to non-believers, that you are above the law because you are a man of the cloth. Even if it was not Rev. Tweeds responsibility to ensure that the visa request was in on time, maybe it was left to a secretary to do and then it was forgotten about, whatever the circumstances, what has been done has been done, again bow out respectfully and gracefully ensuring that there is no scattering of members or anyone else and go and reapply from outside for another term. Render unto Caesar what is Caesar’s….. The reality of things is that they didn’t even advertise. They are arrogant and entitled enough to just submit something incorrectly and hope it will just be approved regardless just because it’s their little friend. This man does nothing but spread hate and acts like a little venomous snake behind the scenes. I would love to see the emigration minister come out and give a speech about every single permit that is denied. What makes tweety bird so special? Oh, it’s their little special friend that feeds their minds with hate and disrespects the government that gave him permission to stay. Good one for a reverend. Spread love not hate. The government better not bend for this non sense. Everyone is tired of this circus. Get on a plane and leave. Then apply for your job and fill the forms in carefully and wait. No fuss, No industrial action and No political mess, just a little meekness and common sense to defuse the situation. No your fighting its denial is political. I feel like im taking crazy pills! how can it be political?? In order for a minister to properly consider an application it has to be properly submitted – its called having the correct “Locus”?? and if it really was “political” then wouldn’t the simple answer be to PROPERLY file the application so Government would not be able to rely on that reason to refuse it?? WHY wasn’t the application done properly??? its simple question no one has answered!! I think you misunderstood my comment. I agree with the denial of the permit and am saying that the lobbying group for the plp aka the “peoples” campaign are taking a political position when they argue that it shouldnt have been denied. Politically motivated is purposely trying to get a work permit renewed by not following the rules and hoping for it to backfire. If they folllowed the rules there wouldn’t be an issue even though he shouldn’t be speaking out politically as he is on a work permit. All it is, is a game of chess or maybe chicken is a better analogy.. I hope the govt doesn’t cave on this one. If they do cave many people will loose faith in them and the crazies will be running the nut house. 200 plus people can’t be allowed to determine the course of the islands future so they can get back in office for a payday. Why isn’t the church making any noise over this. They are strangely quiet. Very quiet. Seems like the church is letting the Combined Opposition, BIU, PLP & the rest make all the noise while bottom line is they want him outta here. Since the AME church is part of the Combined Opposition anything that makes the OBA look bad is a good thing so might as well let all those vocal groups have at it. Reverend Tweeds Father was forced to leave Bermuda in 1959 as a result of the Theatre Boycott,in Bermuda resulting in The Progressive Labour Party being Formed in 1963.Perhaps now in 5 years time the ,,,,,like father like son.The Spirit never dies.Peoples Liberation Party will come into being,and take us into Independence.History repeats itself,because the nature of man never changes.Peace. Saying Peace means nothing, your heart is full of hatred and inner conflict. The claim that the refusal was a political decision, not an administrative decision, would be more convincing if the administrative process HAD been followed. Was the decision to NOT follow the proper process, despite repeated opportunities to do so, an administrative decision by the AME Church or a political decision by the PC/BIU? inaccuracies in the application? is that another word for lies? if it is true that the Revered Tweed is his stepfather how would that make Bermuda his ancestral homeland? Well in fairness the People’s Campaign are correct that this is political. The AME/BIU/PLP/PC made it so by submitting the application 5 days before the expiration of the permit and refusing to abide by the laws instructed to them on numerous occasions. They thought they could force the hand for the permit to be renewed but have shot themselves in the foot. Stand strong OBA and do not be swayed by what you surely know is going to follow. Is Tweed knocking off at 12pm too so that he can start packing his bags? This “people campaign” does nothing but embarrass this country. What a shame! A bunch or entitled bullies rebelling against the government using intimidation and victimization as their game. Stop this circus please. Respect the government and the people of this island. Enough is enough. Stop this hate! Stop the entitlement! Tweed did nothing and does nothing but instigate hate! Hate it’s all over his face. I am a “people” of Bermuda and the PEOPLE’s CAMPAIGN does not represent me, or any of the other “people” I know. I am embarassed for our country everytime the “peoples campaign” speaks. Go find something positive to do , charities need help. families need help, our kids need help, wasting time on a work permit issue that is a non issue is just stupid. Take your “people” and your time and invest it in something worthwile that will actually benefit our country. The PLP would say this is POLITICAL but if the shoe was on the other foot ALL Hell would break loose, STOP CRYING ALL THE TIME WITH NOT GETTING YOUR OWN WAYS AND STOP BEING SUCH HATERS YOU ARE SO TRANSPARENT. YOU HAVE LOST MY VOTE. How can it be political when in the past the PLP said that Tweed is not involved in politics? Not surprised by the PLPs comments. 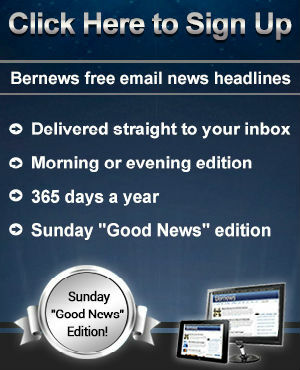 They are anti-non bermudian in all other cases but have a special policy on Rev. Tweed because he is useful to their main political objective. The decision by the Minister is not political but the decision by the church to refuse to abide by the policy most certainly is and unchristian like it my view. It is a fabricated situation to produce the very outcome that has occurred. Actually, it’s refusing to fill and application out properly that’s political.